I love the new OC forum section so I might as well add something. In preparation of the new gen of KPE cards I was playing with the 9980XE to get the system ready. I must say it clocks very well also on water and I haven't even lapped it - which is a must on these chips. Placed on the IHS it spins like a beyblade. But reviews on the internet don't do it justice - it clocks well. For ambient cooling conditions I suggest to use liquid metal paste on the IHS to improve heat transfer away from the chip. 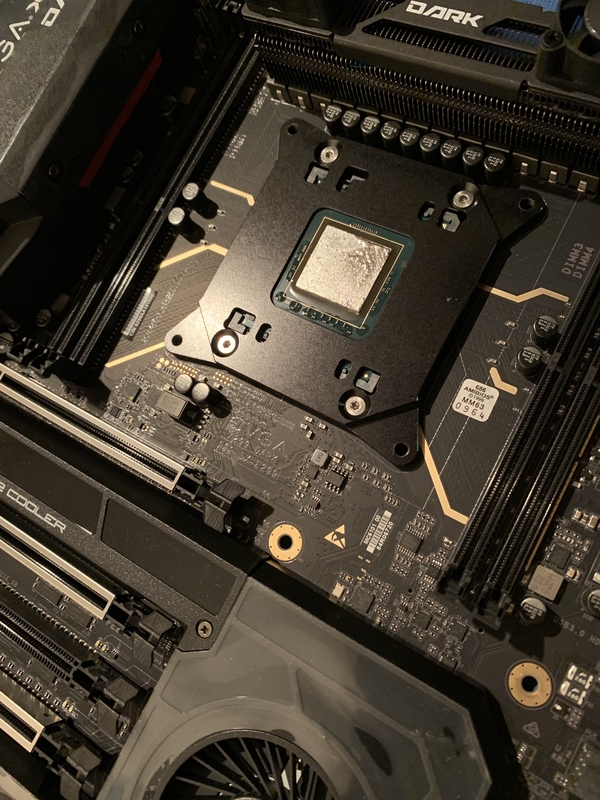 Since I recently got my X299 DARK to replace the APEX I did some testing and I must admit the X299 DARK is pretty sick in comparison. Since not everyone has LN2 at their disposal I figured it'll be nice to show some chilled water results. 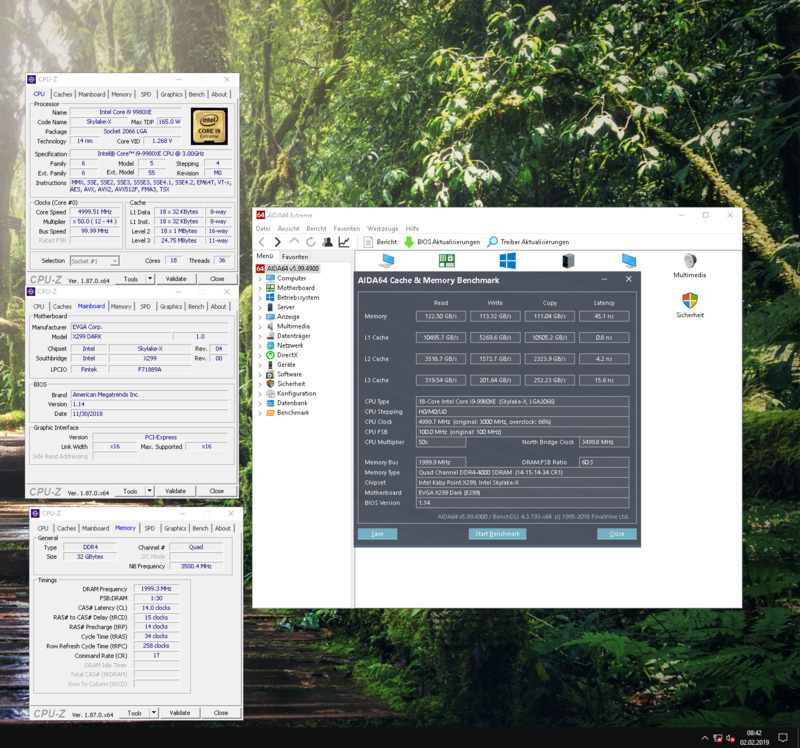 A little bit harder: Intel XTU 5000MHz and 3500MHz Mesh. 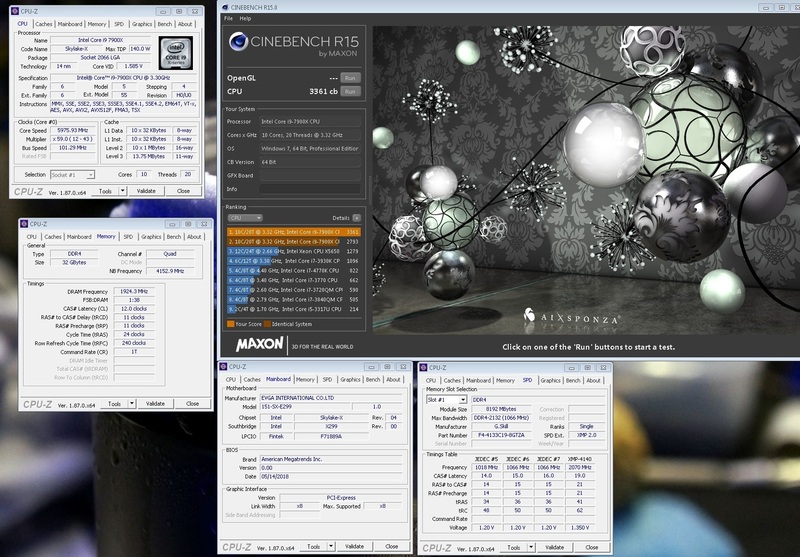 Next up TimeSpy: Testing the 9980XE in the CPU benchmark we cracked 5300MHz and over 20k points CPU. Seen almost 21k, but didn't save it. Bummer. So far very impressive. 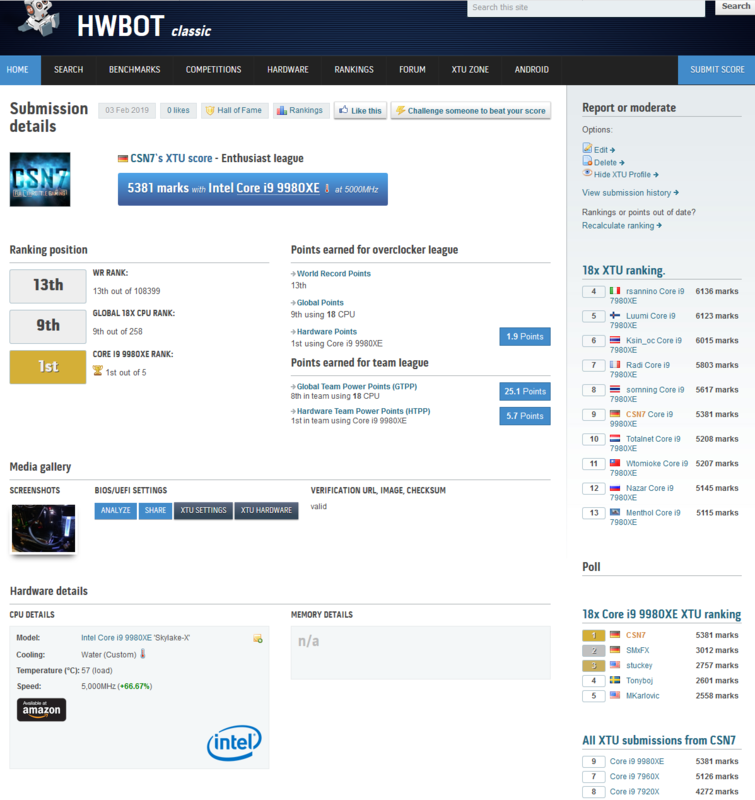 The board could handle the chip very well and less Vcore was required than on the APEX. 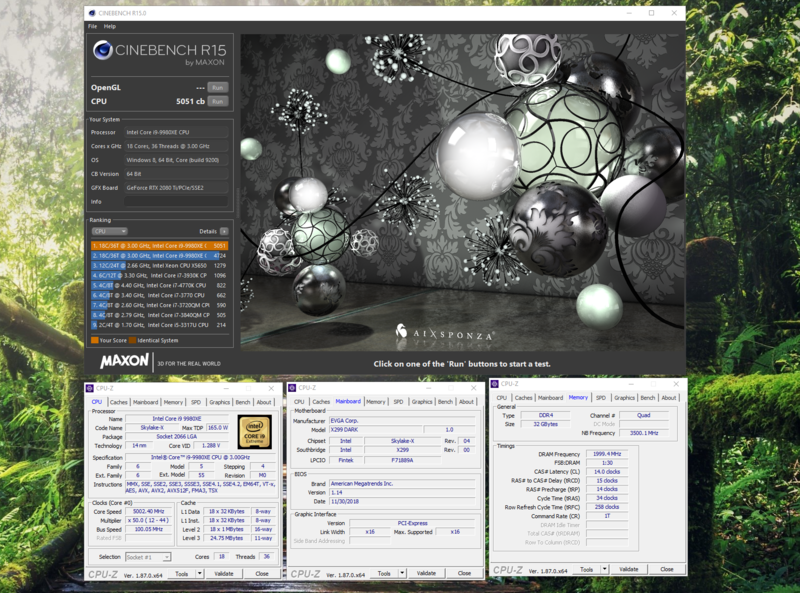 Then I retested my trusty 7960X with direct-die cooling method. The direct-die frame that der8auer gave me for review at the time looks very pretty on the DARK. 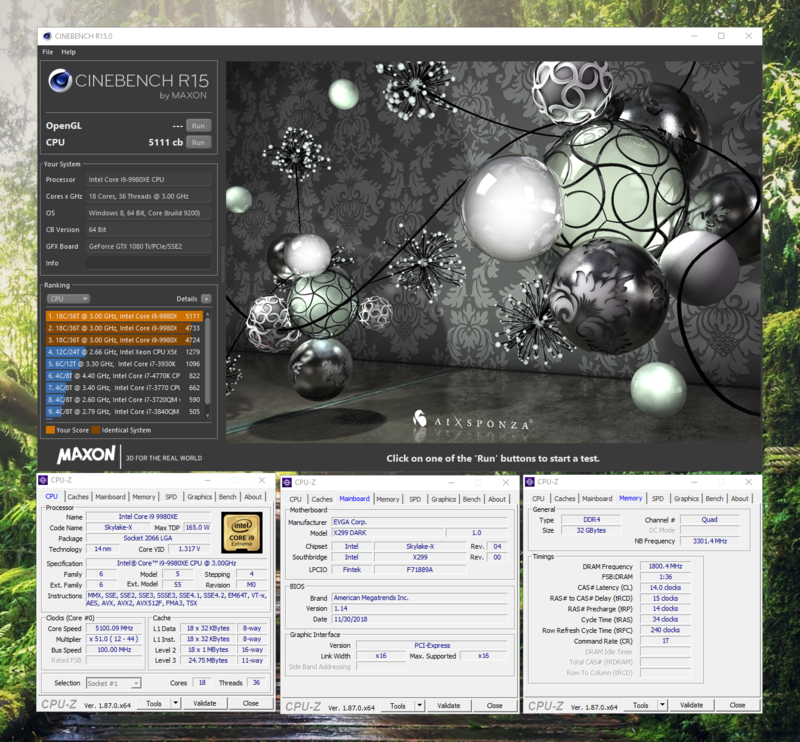 Here we went for R15 again and scored solid 5200MHz with 3500MHz Mesh and I could best my previous result with 5100MHz. The chip also liked Time Spy again 5300MHz were possible with 5400MHz very close but not quite that evening. Again over 20k points which is sick for a 16-core. 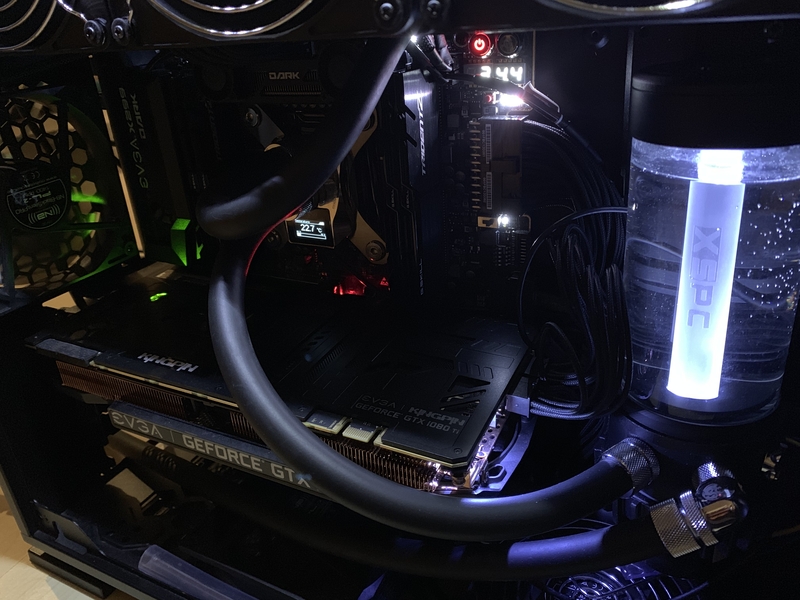 Little 1080Ti KPE back on Air waiting for her bigger sister 2080Ti KPE to attack 3Dmark again. Pretty nice results! Thanks for sharing. Nice results on the 299! 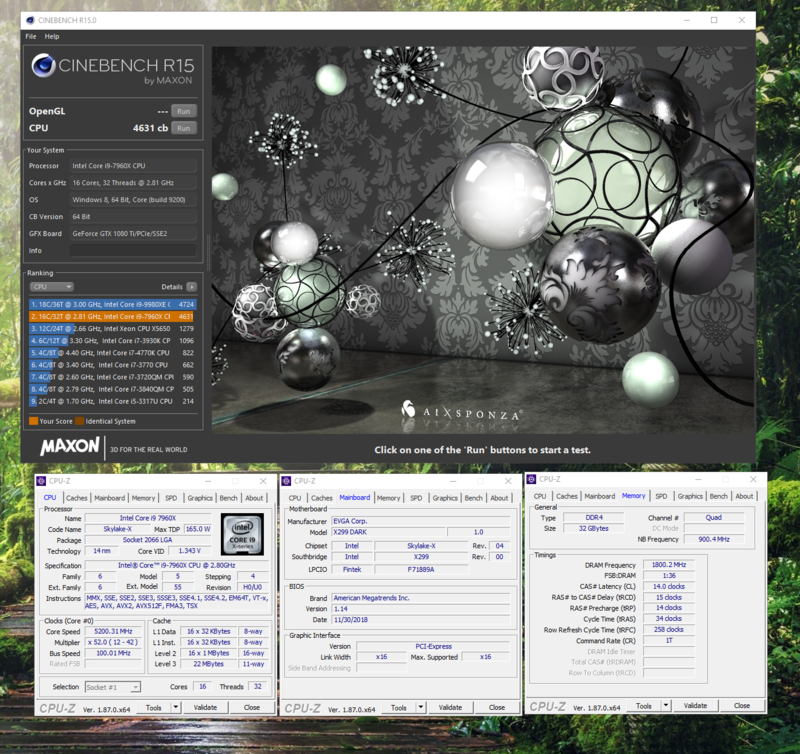 9980XE 4.97 here for Cinebench aswell, sadly this chip isn't as strong as yours CSN7. Almost 6 G is extremely impressive. Finding the right input voltage is super important each chip is a little different. Love the Dark. 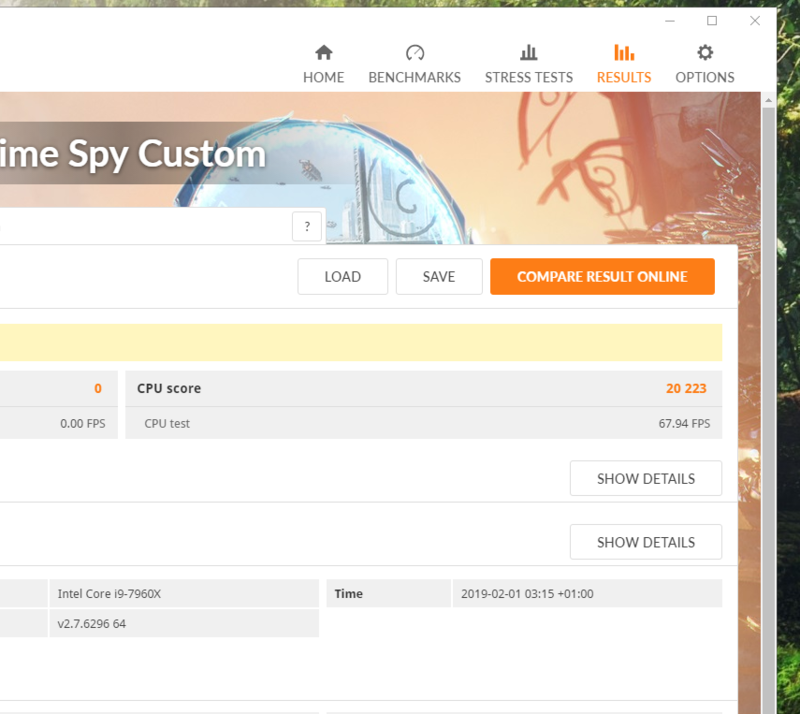 On average 0.1GHz better OC possible than on Apex in my experience. What RAM did you use? Brand and model please. And what's your mesh voltage? Mesh voltage was 1.1v for 3300MHz and 1.3v for 3500MHz ... that is a good chip though. For best results keep vMesh and IO Voltage roughly the same. So you bump both up. There is a screen for 5.1G on chilled water. 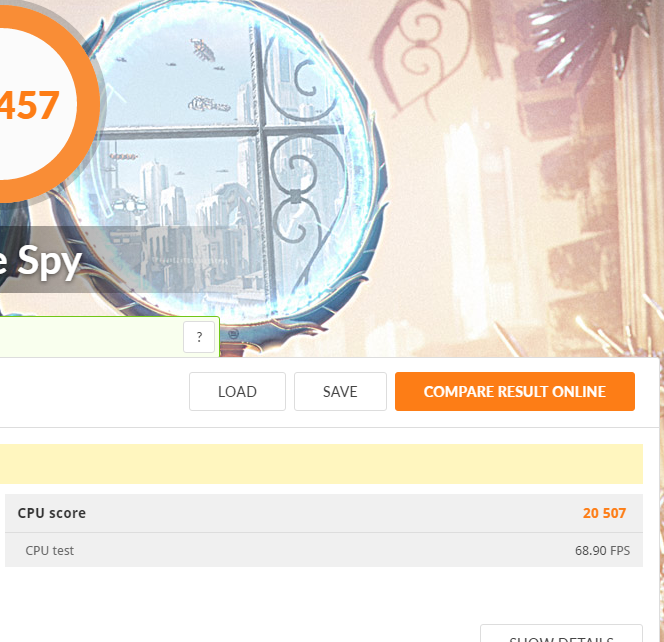 great setups,those new cpus you overclock them by changing the multiplier or you can change the FSB as well? 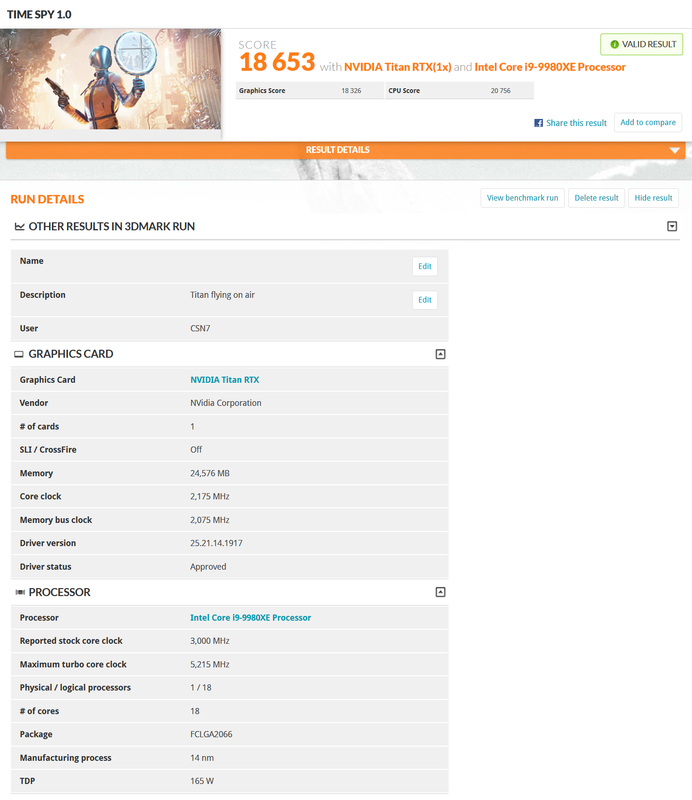 reminds me 486 and pentium overclocking. Usually you OC these by multiplier for general use.